Hoodies are one of the most popular items available from Viralstyle – especially when the seasons begin to change. September is the month every year that our hoodie sales skyrocket! 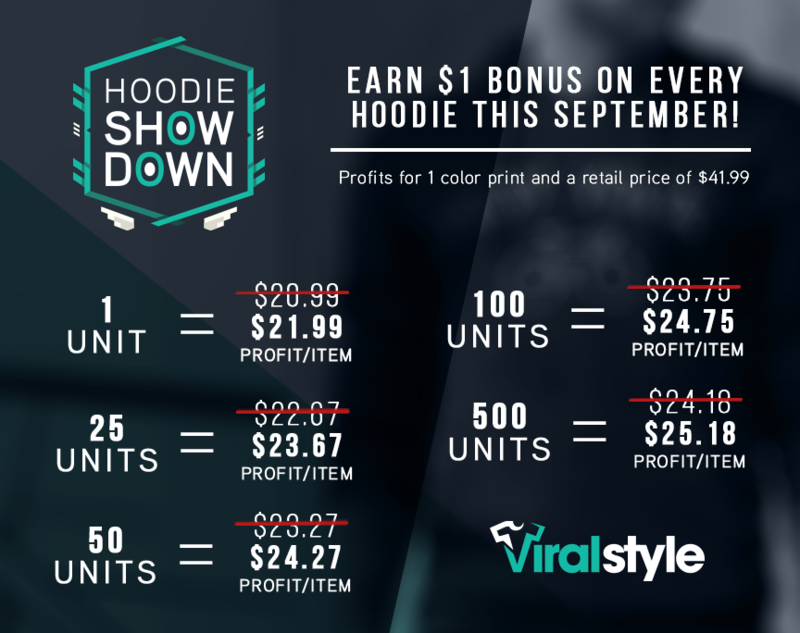 To make selling hoodies on Viralstyle even more awesome, we’re offering a $1 bonus for every hoodie sold during the month of September. Add that to our low base cost and you’ll find that hoodies can be extremely profitable! I know what you’re thinking – that’s an awesome promotion, but we’re not done yet. The seller with the most hoodie sales during this month will have their bonus doubled! That means that the top hoodie seller this month will earn a $2 bonus for every hoodie sold this month. Every seller is automatically entered into this month’s promotion. Sellers will be awarded their bonus at the end of the month in the payouts section of your account. 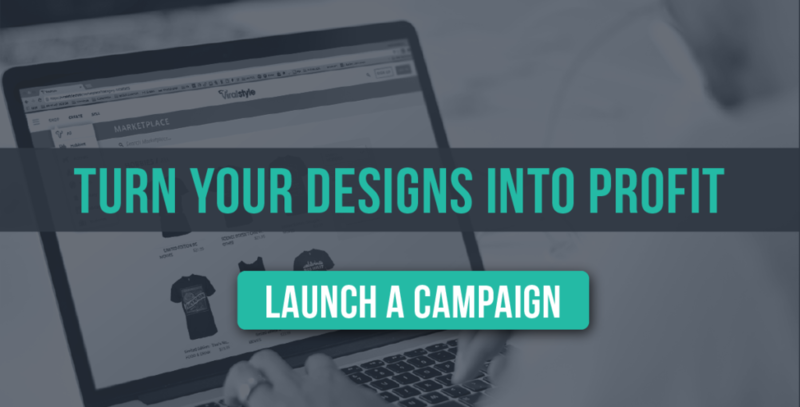 Are you the best hoodie seller on Viralstyle? Show us what you got!